Another top advisor to Ethiopian Prime Minister, Hailemariam Desalegn, has resigned from his post. Bereket Simon according to BBC Amharic submitted his resignation as the PM’s advisor in charge of Policy Studies and Research, leaving a post he has held for the past four years. The Ethiopian delegation returned to Addis Ababa but he remained in the U.S. He confirmed to the Voice of America’s Amharic service that for political reasons he had opted to seek asylum in the United States. 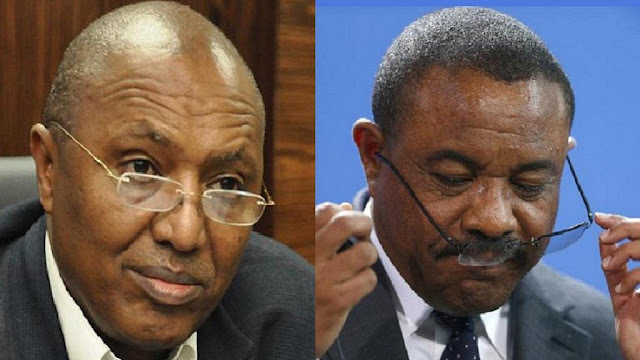 The Protocol Chief of Prime Minister Hailemariam Desalegn thus quit a role he had served in for over two years. Ethiopia’s economic successes have long been eclipsed by what political and rights watchers call a systemic and institutionalized crackdown on media and political dissent.